Now you can get professional quality graphic design templates made especially for the Mac. 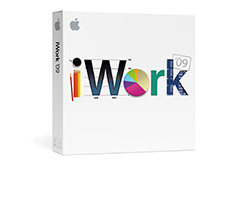 With our Apple iWork Templates , it's easy to customize and print! Browse our newsletters, flyers, brochures and more! It’s no secret that Apple is a favored platform for professional graphics designers. Pages is a popular application for developing flyers, newsletters, brochures, business cards and letterheads. Pages is a word processor and page layout application developed by Apple Inc. and a part of the iWork productivity suite (which also includes Keynote and Numbers) by Apple. Pages 1.0 was announced at the beginning of 2005 and started selling in February 2005. Pages includes support for multi-column layouts, paragraph and character styles, footnotes, and Mac OS X built in typographic capabilities. The program can create lists, URL links, page breaks, and will accept data from iTunes, iMovie and iPhoto. Pages contains templates for newsletters, brochures, invoices, essays, business cards, stationery, invitations, educational materials and other types of documents. Or just as easily, start with one of the Apple iWork Pages templates on Inkd.